MauSketch - The Art of Mauricio Abril: Spiderman! Spiderman! Does whatever a spider can! 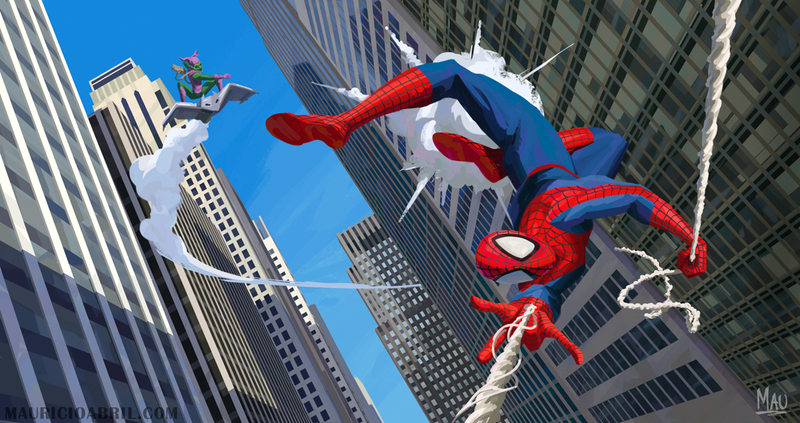 An action packed Spidey/Green Goblin piece inspired by the style and process of amazing artist Alberto Mielgo.